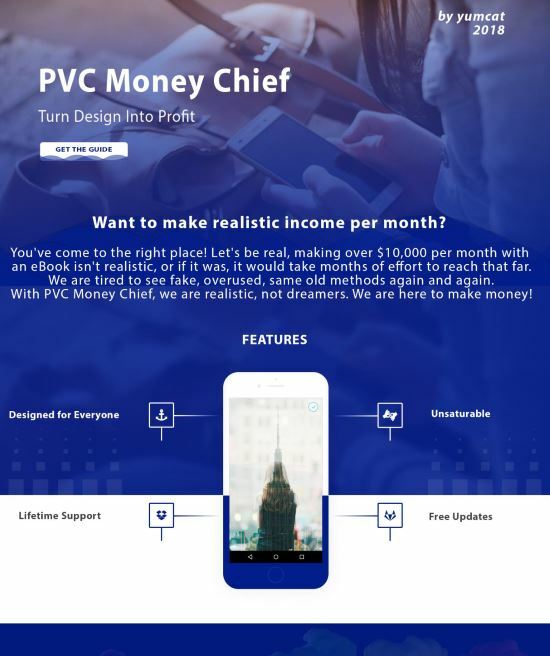 PVC Money Chief – Make $100 Per Day Quick & Easy Doing Simple Design. Want to make realistic income per month? You’re come to the right place! Let’s be real, making over $10,000 per month with an ebook isn’t realistic, or if it was, it would take months of effort to reach that far. We are tired to see fake, overused, same old methods again and again. With PVC Money Chief, we are realistic, not dreamers. We are here to make money!